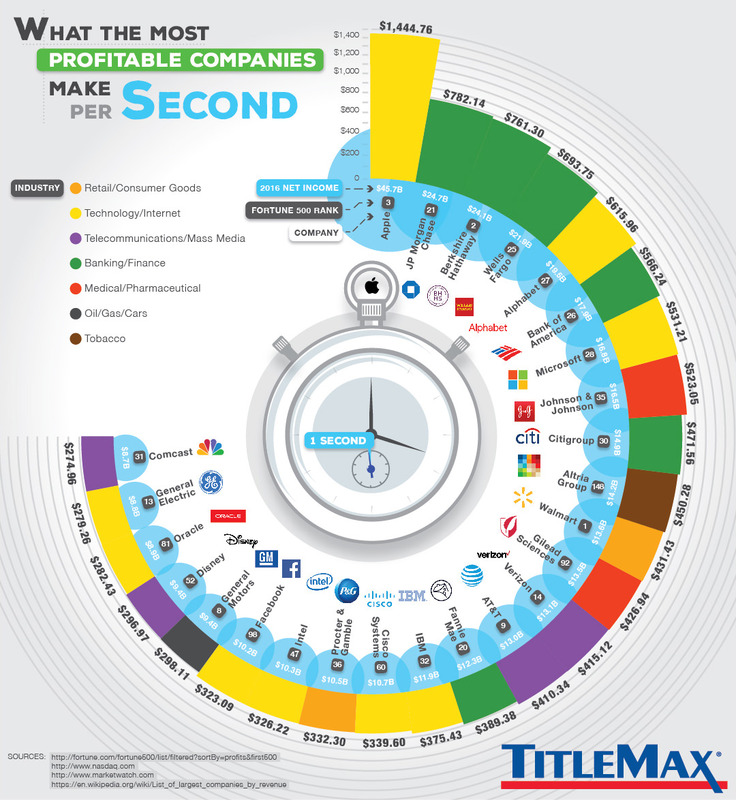 What the Most Profitable Companies Make Per Second #Infographic ~ Visualistan '+g+"
Have you ever wondered who's making the most money in the world? This infographic profiles the world's most valuable companies by profit and how much they're making. However, this doesn't look at how much companies like Apple, Walmart, Microsoft, Facebook, and Disney are making yearly, monthly, or even daily. Instead, this list features how much these top 25 companies from around the globe make per second. Per their 2016 net income, tech-giant Apple brings in $1,444.76 each second. That average is so high that it's almost twice that of the runner-up, with JP Morgan Chase making $782.14 per second. With that said, statisticians and MBAs have been analyzing the Fortune 500 for several decades. 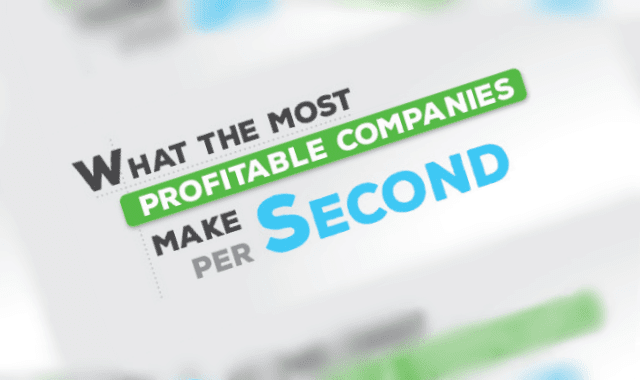 These top 25 companies from around the world may be from different industries, but they have one thing in common, and that's that they're making a lot of money per second!